White has an extra King side Pawn, on e4, and it would like to advance to e5 to attack Black’s d6 Pawn, which is very vulnerable because it is the base of a Pawn chain that has no possible Pawn to protect it. If White’s Pawn can get to e5, then it shuts down Black’s Bishop developed on g6, and also might advance to e6, or might support a Pawn or piece getting to f6. White might also advance g4, g5, h4, h5 for a full-blown King side attack on Black’s King. Black has an extra Queen side Pawn, on c5, and therefore has chances to play against White’s Queen side by advancing with, …a6, …b5, then maybe …c4, …b4. Black’s Bishop on g7 will aid in the attack on the Queen side and also sometimes go to d4 or e5 to attack White’s King. 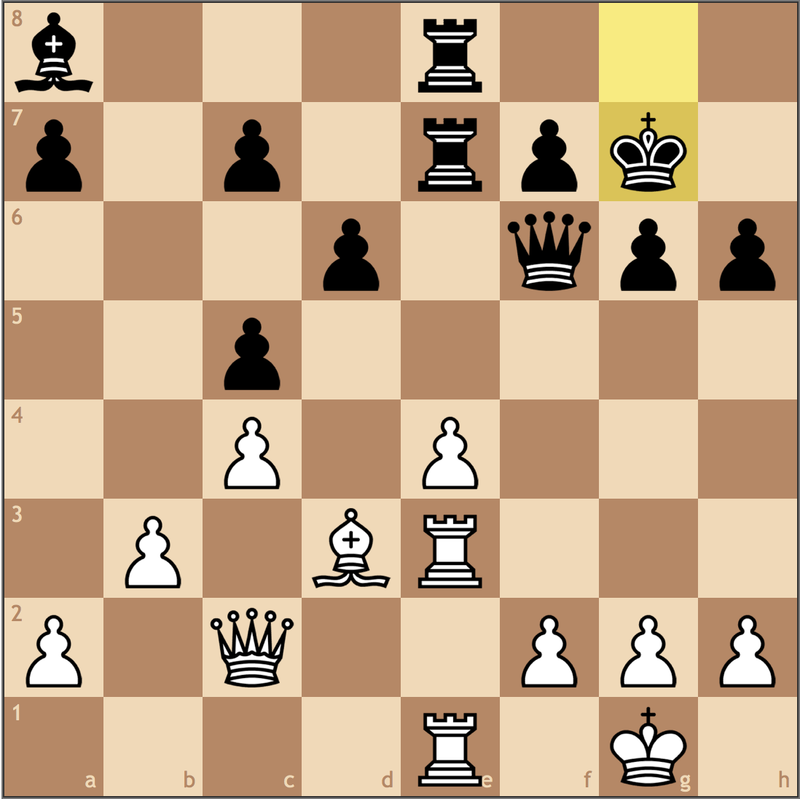 Black has a half-open e-file and can put pressure on White’s e4 Pawn and try to prevent e5. All very abstract, but it’s useful to know what the possibilities are up front, before diving into concrete examples. Note that when looking at examples, it is critical to examine good and bad play by both sides, not just one side; this way, we avoid the trap of overoptimistic, wishful thinking believing that the side we play has it easy. 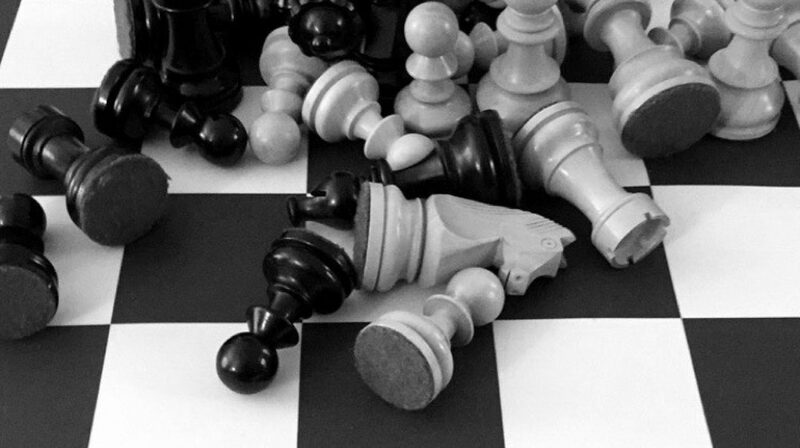 The beauty and challenge of chess is that most reasonable positions are not winning or lost but contain resources for both sides in case one side plays inaccurately (and in human chess, that always happens eventually). White is completely lost here, because Black’s Queen, Rook, and Bishop have broken through: White had not even made any progress in the center or King side, but instead mistakenly not only helped Black open the b-file, but also went after winning Black’s a6 Pawn rather than protecting the critical b2 Pawn from capture. Remember this position! At the end of this article, you’ll understand why. Examples of Mikhail Tal losing horribly as Black! Now that we’ve seen White punished for imprecise play, let’s see examples of Black being punished. I really like the following examples, in which the great attacking legend Mikhail Tal, who played the Modern Benoni as Black a lot and won many brilliant games as Black, actually got completely crushed by not being careful about White’s own attacking resources involving the e5 Pawn break! Let’s face it, the position is looking really bad for White here. It’s looking like Black will be playing …b4 next move, pushing White back. Meanwhile, White doesn’t look like he can get in e5 any time soon, given that White’s only guarding the e5 square with the f4 Pawn, while Black has the d6 Pawn, Knight, Queen, Rook, and Bishop all majorly overprotecting the e5 square. So you might think, there goes another dominating game by Tal as Black. But he was in for a big shock: White played 19 e5 here! 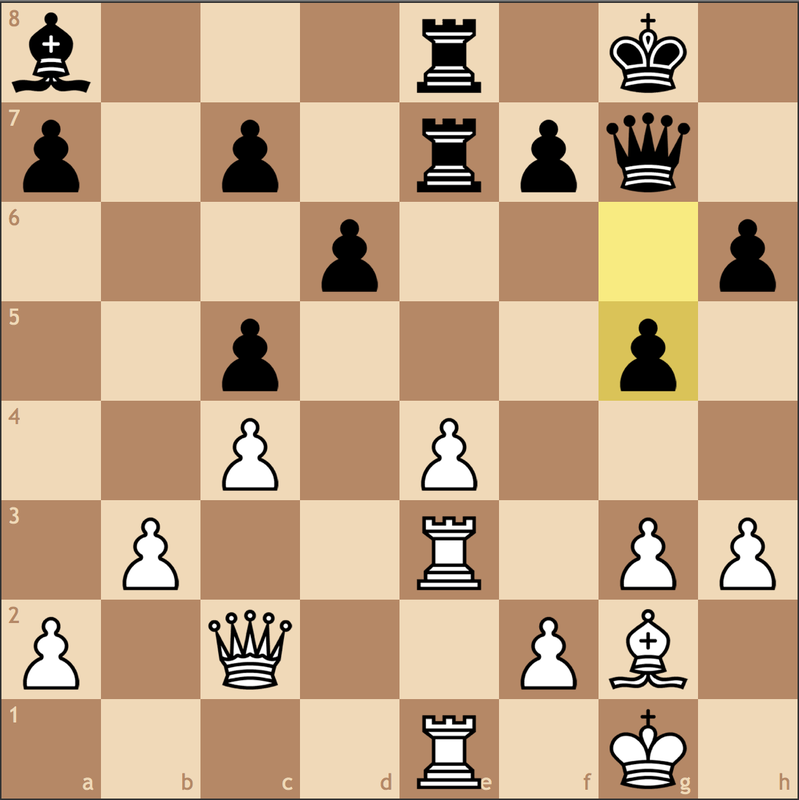 Black’s Knight on c5 is no longer overprotected, since the d6 Pawn has been deflected to e5. Black’s Bishop on g7, which had so many threats against White’s Queen side, is now blocked up. White’s Pawn on f5 threatens to take on g6 and open up the f-file for White’s Queen and Rook. 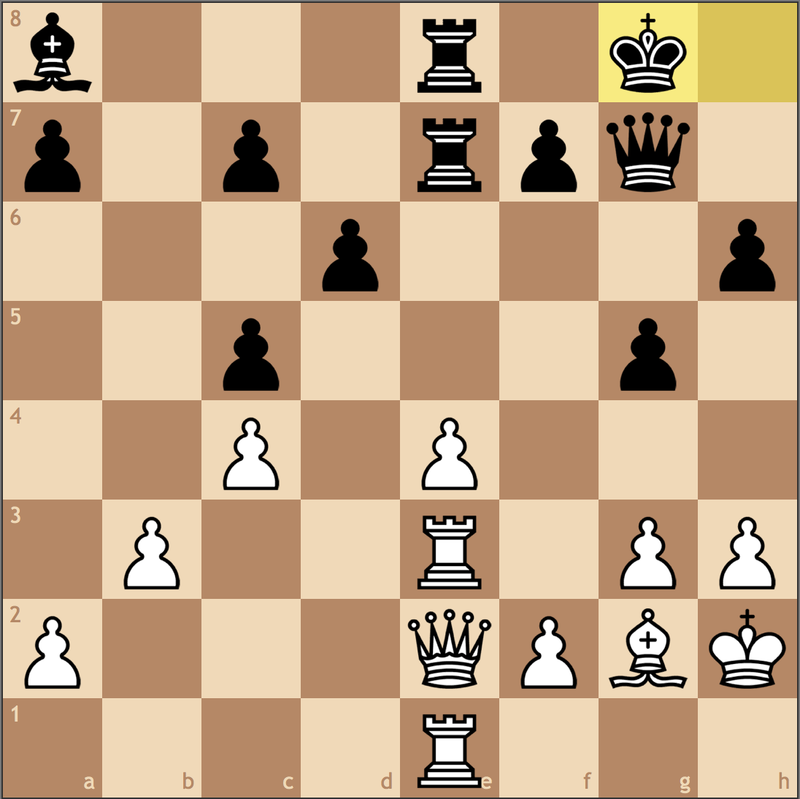 White’s Bishop on d3 is now unblocked against Black’s King side. White’s Knight on c3 now can hop to the cleared e4 square to attack Black’s King side. You’d think the great Tal would have “learned” to watch out for the e5 sacrifice idea and wouldn’t fall for it again, but oops, he did it again! We’re all human. In this position, Tal as Black has just played 18…b5, frantically trying to get in Queen side counterplay. But 19 e5! followed. 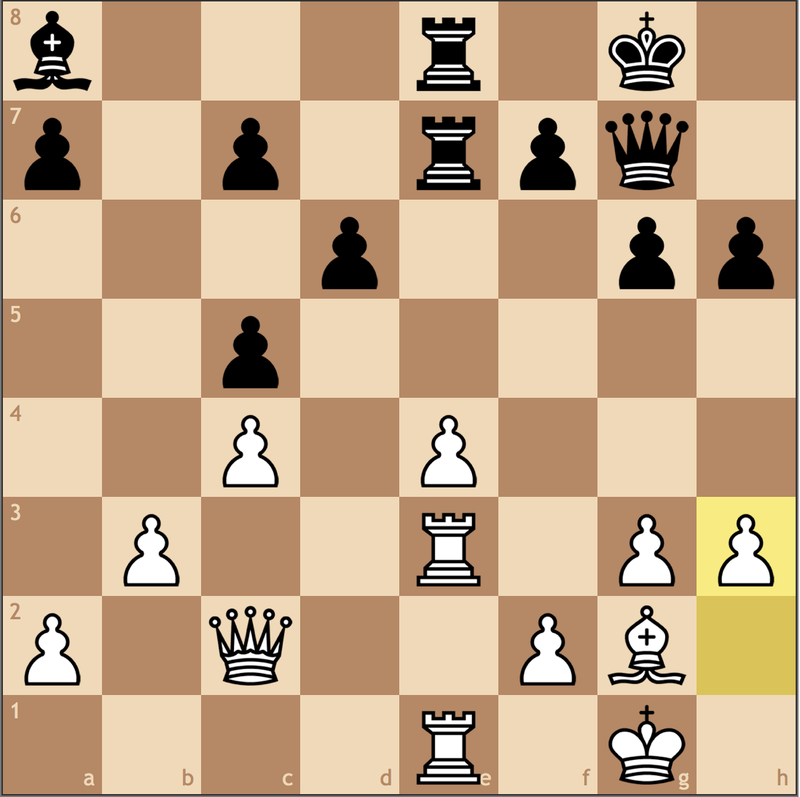 Let’s look at the positional transformation in this example after 19…dxe5 20 Nde4. As in the previous game, White has forced Black to self-block the e5 square, which is no longer available for Black’s Knight, Bishop, or Queen. 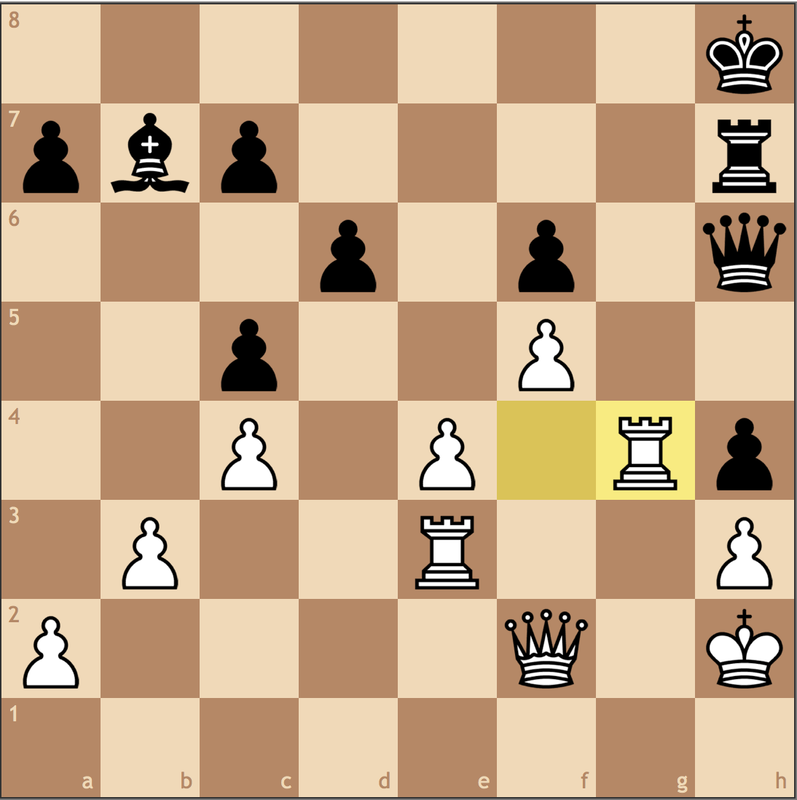 As in the previous game, Black is now suddenly weak rather then overprotected at c5. White has an immediate threat of d6. Note that in the previous game, this motif was not present. Even Black’s b5 Pawn is now vulnerable, because it was never overprotected in the first place, and now if Black’s Knight on c7 gets chased away, it will fall. Interestingly, unlike the previous game, where White basically dominated the King side, here, White is suddenly operating on the center and Queen side. White played the planless 15 Qg3 here. But when seeing this position, I immediately thought, is now the time to play the thematic 15 e5 sacrifice? First of all, does Black even have to take? And if Black takes, then what are the possible transformations of features of the position? You may want to stop and work out some possible lines. Warning: this position is actually much more complex than the examples from earlier. In fact, after doing this exercise, you may want to check whether your favorite chess engine wants to play 15 e5. Mine did not. My engine did not believe that 15 e5 was as strong as I believed it to be. So this is a reminder that engines are not a replacement for human concepts and intuition: Kramnik famously lost a game against Leko in the 2004 World Championship because he relied on engine analysis that was not deep enough at the time. When studying chess with an engine, use your own knowledge of ideas to generate and check candidate moves and plans with the engine. What if Black doesn’t take? Note that Black can simply choose not to take the Pawn on e5, in order to prevent White from advancing with f5. After all, Black could protect the d6 Pawn with …Ne8 or …Qe7, or even not protect the Pawn at all, since if White ever takes, Black could retreat with …Ne8 and try to regain the Pawn, with a blockade of White’s d6 Pawn, and might be able to defend. Black’s activity is very restricted. White will put a Knight on e4 and advance the Pawn to d6 eventually, supported by a Rook on d1. White g4 and g5 stuff might happen, and/or something on f6. Black has to watch the c5 Pawn, which is no longer overprotected because the d6 Pawn was deflected away. White’s Queen on f3 could be a threat against Black’s Pawn on b7. White is playing on all sides of the board here. I have not analyzed every possible continuation with the engine, but I have complete faith that White’s advantage must be considerable in every line after the e5 sacrifice. I would welcome any attempt to prove me wrong! In any case, from a practical point of view, without perfect Black play, at least we should be able to agree that White has more than enough compensation for the Pawn. I should have stopped to think about the features of the position, which is completely fine for Black, but I got complacent. There were too many choices: …b5 looked good, and so did …f5. Instead I played …Re8 and then White played the “obvious” 18 e5. I was devastated when I saw this, because what was I thinking when playing …Re8? I had forgotten to check whether e5 was good, since it wasn’t anything special in the other variations I had considered. It’s always important to check for important ideas on every single candidate move even if they didn’t work on the candidate moves you already looked at. I felt so bad that I gave up and panicked, took the Pawn, and after the thematic f5, slowly fell apart. I could not see a good continuation if I declined the Pawn. It turns out there was: because White’s e5 Pawn is still pinned, Black has time to play 18…f5! 19 e6 b5! with counterplay. It looks like Black can try to maintain a blockade and defend. To reinforce understanding of a concept, it is important to keep reviewing examples, and nowadays, that is easy because of the publishing of played high-level games online. For example, just by following chessbase.com, I saw a nice game by young 21-year-old GM Benjamin Bok posted in an article there in which he showed how to play the Black side of the Modern Benoni. In the following position, White has just played 18 e4. White has done nothing but defend, while Black is already creating serious pressure on the Queen side. Look familiar? This should remind you of Isaac’s game. If the b2 Pawn falls, it’s game over. Guess what? In this position, Black played 31…Nxb2 and the game was effectively over. I recommend looking at the entire game to see how Black finished White off after winning a Pawn and then switched attention to attacking White’s exposed King. GM Bok made it all look easy, against a FIDE 2470 opponent! The Modern Benoni in the hands of an aggressive player still lives! In this article, I explored examples of thematic White and Black play in Modern Benoni Pawn structure middlegames. I particularly enjoyed spotting the opportunity for an e5 Pawn break in Isaac’s game. I hope we will all watch out for this idea in our games, whether to play it or to defend against it. 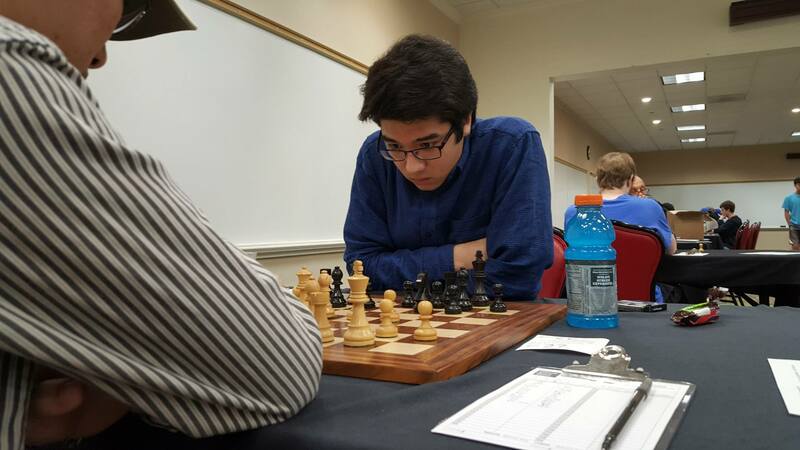 After playing chess for maybe a year in the outskirts of Columbus, Ohio, I stared in amazement as I arrived at the Susan Polgar Girls National Open tournament in Corpus Christi, Texas. There were ballrooms upon ballrooms of just rows of tables with chess sets on top. There, I played and won my first ever all-girls tournament – well, I tied for first, but that’s close enough for a nine year-old who was the only one able to defeat the first seed. For the first time ever, I just knew that chess was what I wanted to do, not dance or gymnastics or any other ‘girly’ activity. That was 2007. Five years later, I found myself invited to be the New Jersey representative for the Susan Polgar Foundation Girls Invitational. In those five years, I never played in an all-girls tournament outside of the local New Jersey Girls Junior – where the open section was maybe ten people on a good year. When I arrived at the St. Louis airport for the first time ever, I felt that heart-wrenching pressure to win as the top seed. 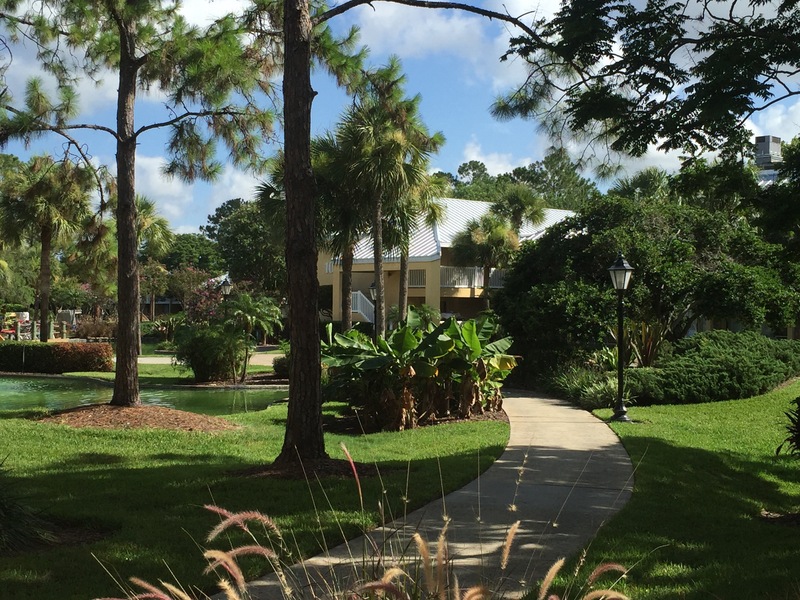 But something was different when I stepped on campus and the pre-tournament events began. For the first time ever, I was there not to win, not to just eat, sleep, chess. I went into the tournament with no friends, and just one acquaintance who I had met while in Greece for the World Youth Chess Championships two years prior. I came out of the tournament with at least a dozen new friends, most of which I still keep in touch with even today. Five days ago, I again found myself here, in St. Louis. When I first accepted the invitation, all my friends asked me why I would even consider returning – it’s my last summer before college and I’ve already won the title, so why take that week out of my life to come back and risk losing that 2100 rating I’d finally achieved after four years? Shouldn’t I be relaxing on a beach somewhere, enjoying my last taste of freedom before I become shackled to college life? To be honest, I asked myself these questions even while I was on the flight here, but as I settled into my dorm room, I remembered the excitement of the tournament, the friendliness of the organizers and the fellow players and I knew I made the right decision to come back. In a way, it feels only right that I end my scholastic career here at the 13th annual Susan Polgar Foundation Girls Invitational after launching it at the foundation’s National Open nine years earlier. 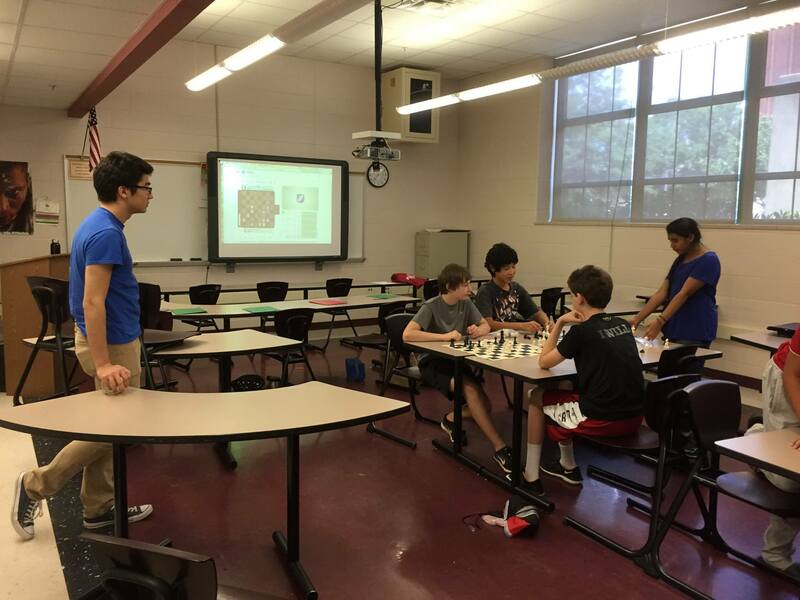 It’s taught me that tournaments are not just a battleground – it’s a place to experience immersing oneself in chess completely for the first time ever, or a place to realize you’re not the only girl who loves this game, even if you are the only one in your school or even state. 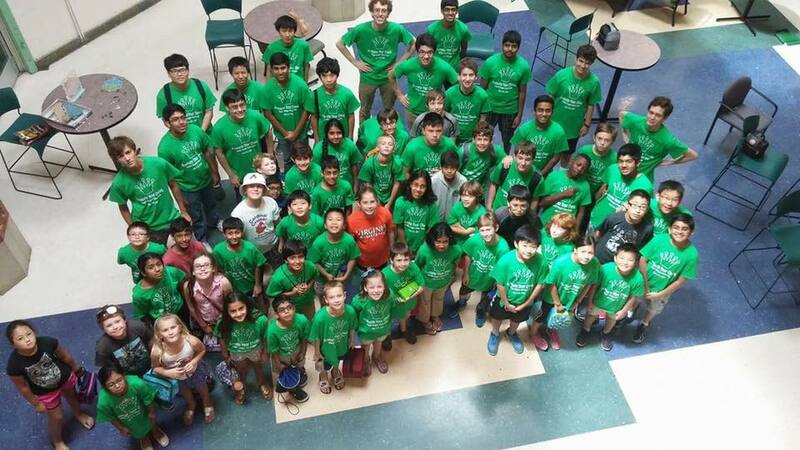 The SPFGI is an event that inspires, not only pushing me to keep playing chess, but also pushing me to promote chess with the NJ All-Girls Chess Camp. In the first installment of our Attacking Chess series, we discussed the first rule that I have considered to be a must-know if a player wishes to have success. If you haven’t read that yet, I suggest you check that out first before reading on (that article can be found here). In the previous rule, we discussed situations in which the player should not shy away from moves or sacrifices that are not associated with a clear path to victory, especially if long-term positional or tactical compensation exists. In this way, if the attack doesn’t finish the game off right away, there is still a fighting game in the road ahead. However, we do not always find ourselves in these situations where we can always fall back on the ability to play on with compensation if an attack falls apart. It is these specific situations that should` be prepared for and studied most – when an attack does not go through, and it leaves the player with an inferior position. Yet, this does not always have to be the case – there is hope; it is here in these situations in which our next rule applies. Rule #2: When dealing with speculative sacrifices, it is better to have a bailout option available. There might be multiple ways to accomplish this, but the most likely candidate to occur will be the perpetual check or the forced three-move repetition. Giving perpetual checks is one of the simplest ways to end a game in a draw, especially if they are completely forced. The ability to be able to end the game with no questions asked can become quite handy when conducting attacks, especially when material is being sacrificed. Knowing that it’s impossible to lose because that draw is always available in the back pocket is a great feeling to have. With this in mind, venturing a bit to try something can pay off in the end, as it did in this following game. I’d hardly be surprised if you, reader, have seen this game before. It’s most famously known as the Game of the Century, and rightly so, when you see what happens. In this game, Fischer was a mere thirteen (!!) years old when he played this game. He was just becoming a promising young master at the time of this game. Byrne, on the other hand, was one of the leading American chess players at the time. 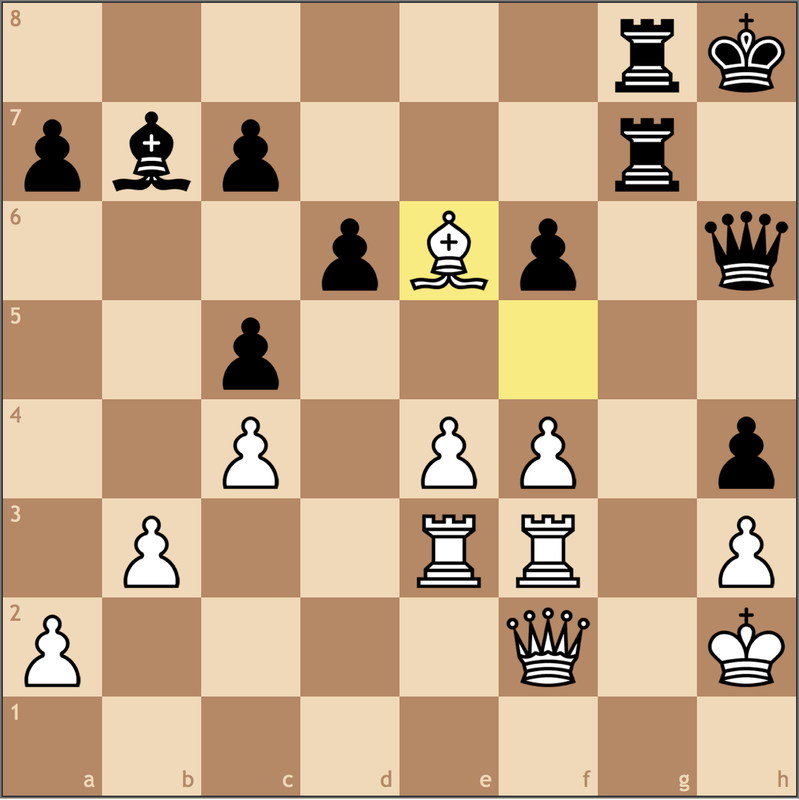 In this game, Fischer (as Black) demonstrates noteworthy innovation and brilliant sacrificial play. Get your popcorn out and enjoy the following. White has active diagonal pieces, and is ready to castle on the next move, but these characteristics are offset by the fact that the e-file is begging to have a rook on it and White’s king still sits in the center. Fischer takes this difference to heart and goes all in before he can lose the chance. The tactics all work out in Black’s favor. White can’t take the knight with 16. Qxc3 due to 16. … Rfe8, setting a particularly painful pin; the bishop will fall. 16. Bxf8 doesn’t offer much better after 16. … Bxf8, and when the queen moves anywhere, 17. 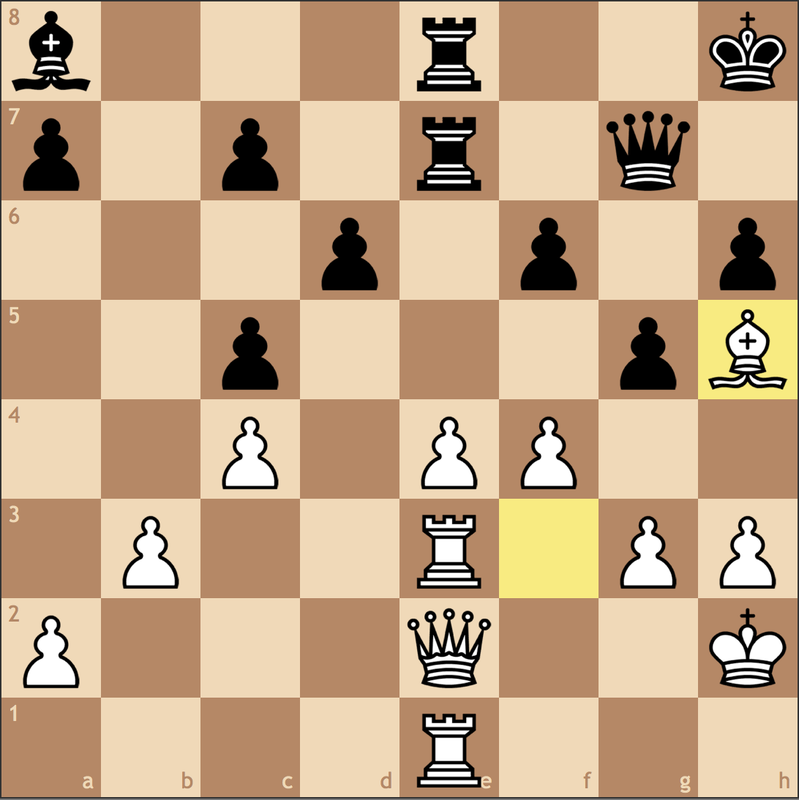 … Nxd1 will leave Black with the upper hand, and White’s king is still stuck in the center. Note that 17. Qxc3 falls to 17. … Bb4 and the queen is lost. Attacking the queen, but also moving the only piece left on the e-file away from it. This gives Fischer the chance to kick the king out of castle-zone. This is what Byrne was banking on. It appears as if Fischer has to solve the situation with the queen, whereupon Byrne can then capture the knight and be ahead with a comfortable material advantage. Fischer, knowing that that is not an option, delves deeper into the position, hoping to find some way or another to save his position, if not turn the tables. If you have not seen this game before, I encourage you to momentarily halt scrolling and try to predict the next move. I’d add more exclamation marks if I could, as you could probably write a whole book on this move if you really wanted to. If this game is called the Game of the Century, then this move can certainly be called the Move of the Century. Fischer offers his queen in exchange for a minor piece and a fierce attack for now, and depending on how he continues, he might receive even more material in return. In two moves, Fischer is able to reposition his bishop and transform it from where it wasn’t doing much into a dagger raking through the most important (and vulnerable, from White’s perspective) diagonal on the board. Sounds tempting, doesn’t it? It was to Fischer. Figure 4: Byrne – Fischer – Position after 17. … Be6!! Byrne accepts the sacrifice, hoping that he can outsmart the young thirteen-year-old in the ensuing complications. Still, declining the sacrifice wasn’t so easy. 18. 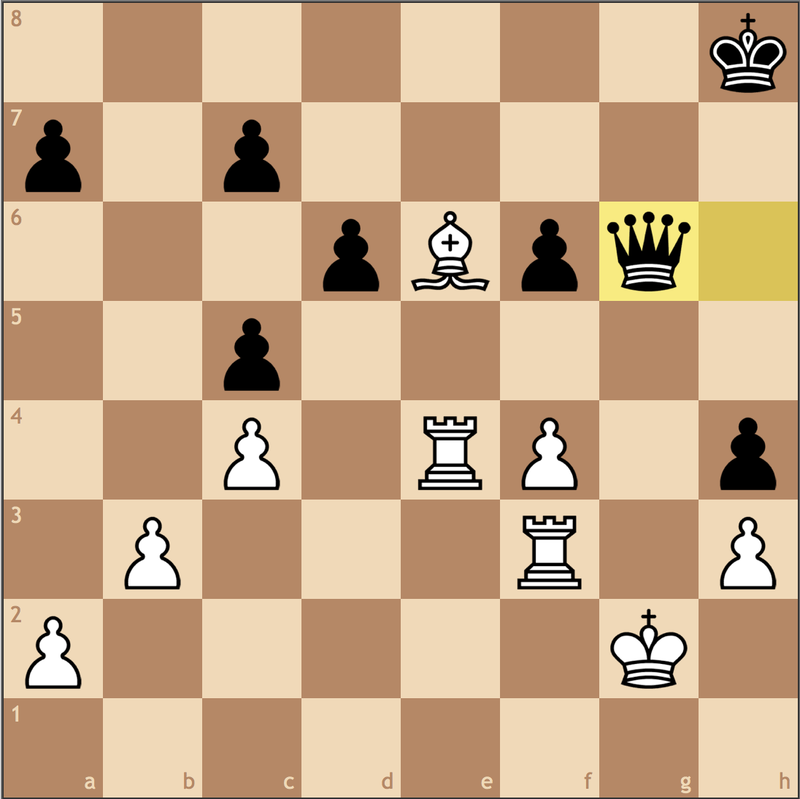 Bxe6 falls to the classic smothered-mate trick after 18. … Qb5+ 19. Kg1 Ne2+ 20. Kf1 Ng3++ 21. Kg1 Qf1+! 22. Rxf1 Ne2#. Figure 5: Byrne – Fischer – Position after 18. Bxb6?! Other alternatives don’t work out all too well either – 18. Qxc3 Qxc5! 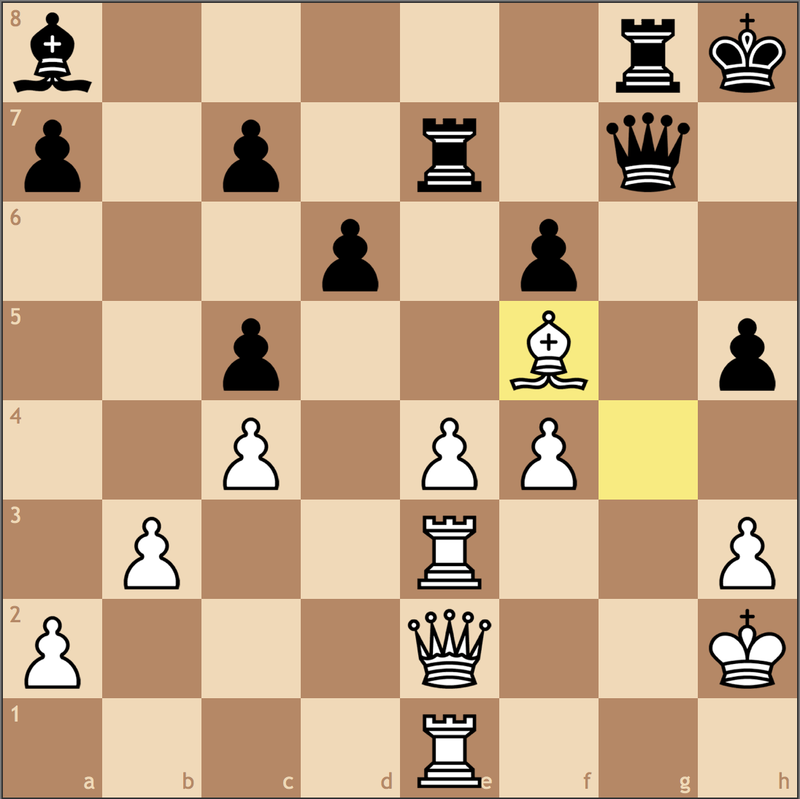 19. dxc5 Bxc3 leads to an endgame in which Black should win due to the extra pawn advantage. However, 18. Bd3 was probably the lesser of the evils, but that should still leave Black with a slightly better position. The point. As of now, Black only has a piece and a pawn for the queen; although his pieces are almost optimally placed, there is still work to be done before anything can be made of it. Fortunately for Black, he has the option to force a draw by perpetual check by the means of Ng3++, Ne2+, Ng3++ etc. This leads me to believe that Fischer most likely stopped calculating after this position on his 17th move because he had the draw if he needed it. There was no need to confuse himself by any means. After reaching this position, he would then decide if he wanted to play on or take the draw. Fischer demonstrates the classic “windmill” scenario, and it is quite a sight to behold. Around here is most likely where Fischer decided to play on, after calculating this combination. The king is once again revealed to a check and the rook on d1 hangs. Never mind the rook! Taking the bishop with a tempo on the queen is a crucial intermezzo (meaning “in-between”) move. Note that 24. 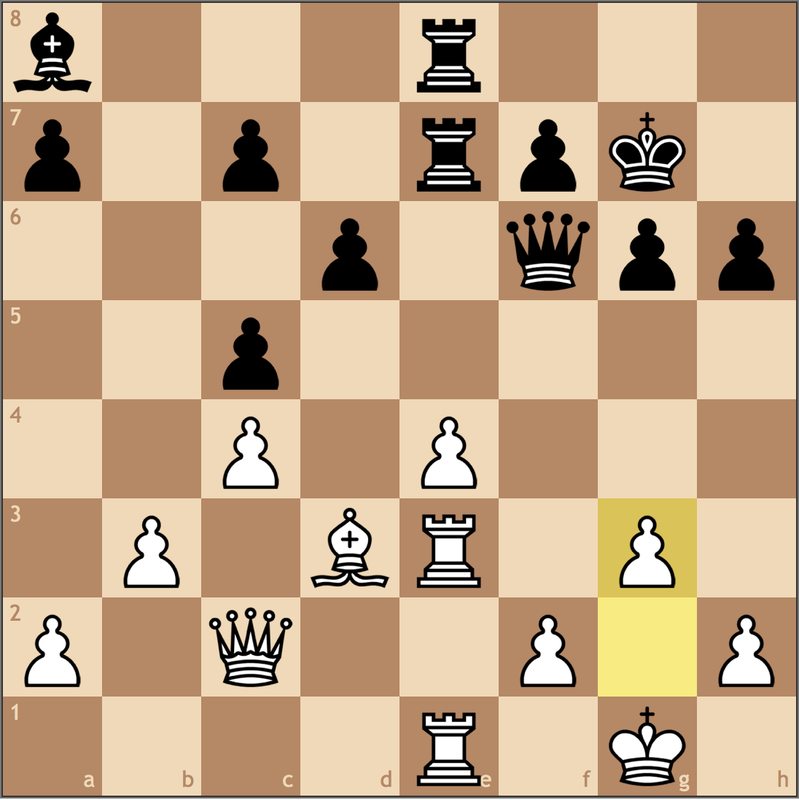 Qc1, trying to protect the rook, is not possible on account of 24. Ne2+ and the queen falls due to the fork. Gaining another tempo on the queen and protecting the bishop on c4. The purpose behind 20. Nxd4+ is now revealed, as the bishop on g7, which was seemingly doing nothing, now plays the crucial role of protecting the knight on c3. Black has received a rook and two pieces for the queen and is now ahead in material. The rest of the game was just mop-up work for Fischer, who proceeded to win easily. This game was a brilliant example where Fischer was able to take a speculative risk, knowing that if all else failed, he still had the draw card he could play as a last resort. As an added bonus, Fischer also had the windmill motif available, which would have allowed Fischer to play even more moves before deciding whether he was better off playing on or resorting to the draw. Fortunately for him in this situation, Fischer was able to reap the benefits of playing on and declining the ability to draw, as he so often did throughout his career. Yet, not every game follows this same storyline. There are numerous cases, if not more, when the aggressor will have to slow down and take the draw. We will look at once such example. Though these two players are not well known, it is the game that matters, and it serves its purpose. White has sacrificed a piece in order to gain time on Black’s pieces and hopefully open the e-file against the Black king. Logical. Black moves the knight and asks the White queen to make a decision. But no! White embarks on a journey where there is no turning back. He sacrifices the queen in order to open the files against the king. It is yet to be seen whether it will pay off. Figure 10: Hellers – DeFirmian – Position after 16. e6!? If the king moves anywhere else, the queen and king will be forked after 18. Ne6+. White spends some time to take some material back, but he still only has a minor piece for the queen. Best. 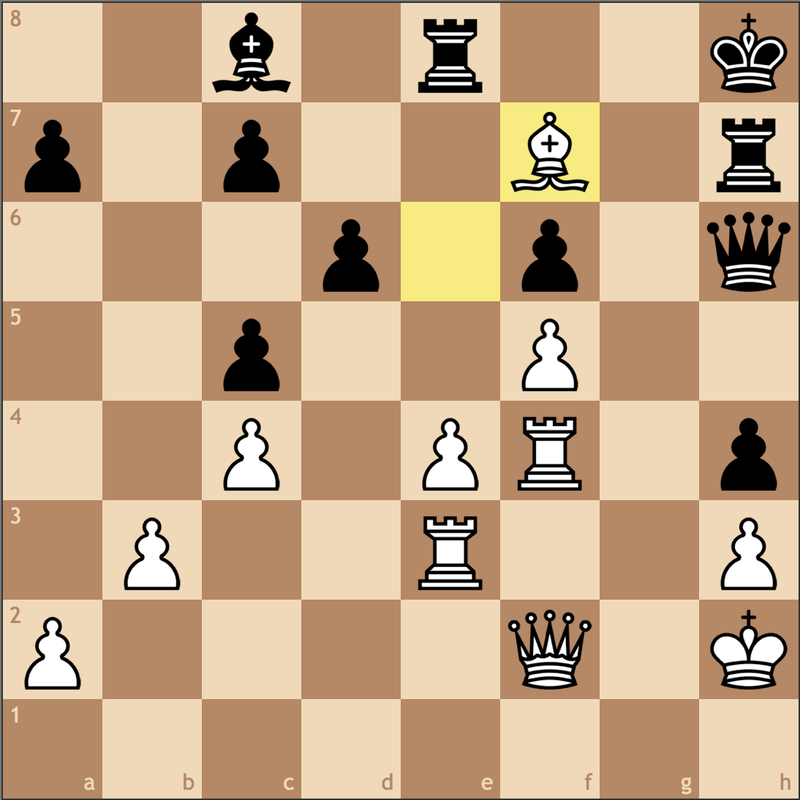 Black must activate the queen as it is Black’s best prospect of limiting White’s counterplay. Suddenly, White’s position looks very threatening. Black’s under a mate threat when being up a load of material! It is okay for Black to defend with the Queen since White cannot afford to return a rook and a piece for the queen. Deploying the last piece into the fray. So far, White has done everything correct after the sacrifice – put pressure on the position and use as many pieces as are available. Putting maximum pressure on the e6-knight. The one drawback is that it relinquishes control of the 8th rank. White puts this to use. Believe it or not, this actually works. Bringing the king out into the open and on the same file as an opposing rook is not the first move you would look at. Yet, there is no beneficial discovered check, since the rook on e8 is en prise. Though 23. … Bb7 looks like it gets the job done as well, Black will be in for quite the surprise when he is met with the astonishing 24. Bg6! !, and out of the blue, White is winning! There are too many mate threats to deal with in too many different directions. The only feasible way of defending this is 24. … Qf6, but it is not enough. White has come to realize that repeating moves is the best he has. Although his position looks enticing to play on with, there is no real way to continue and stay in the game. In fact, any other move leaves Black with an advantage. It takes enormous self-control to make a decision such as this, when all the adrenaline is pumping; yet, slowing down and recognizing when it’s time to take a draw will be a vital skill to master for the future, if you have not already. But, either way, this possibility was only available because White saw the possibility moves before, and realized that, if he couldn’t quickly find a reasonable continuation in the position, his safest plan would be to take the draw. 24. … Kg8 25. ½ – ½ Draw Agreed. As we have seen through the investigation of these two game examples, it can tremendously pay off if we are able to prepare an option to force a draw in the case of a stalled attack; this can, in the long run, convert many would-be losses into draws. Often, sacrifices do not have clear-cut winning moves following them. If anything, those can’t really be called sacrifices, as they are merely just tactics. We saw in Byrne-Fischer that Black’s queen sacrifice still required work to be done after in order to justify it. However, Fischer made sure that he would have that ability to force a draw if he couldn’t find a way to continue. Fortunately for him, Fischer had the windmill scenario to aid him in finding a winning continuation. In Hellers-De Firmian, we saw a very similar situation, one in which White sacrificed his queen for oodles of minor piece activity. Yet, in this situation, Hellers didn’t dare to play on after coming to the conclusion that there was nothing left for him in the position. Though these two examples were the only ones presented today, keep in mind that there are numerous examples of such games around the world each and every day. Hopefully, you will be able to apply this idea to one, if not more, of your future games. In our next and final installment of the Attacking Chess series, we will investigate what will probably be the most important thing you need to know – patterns and motifs. I wish you luck in your future scenarios dealing with speculative sacrifices, and, as always, I will see you later! Opening theory in chess is constantly evolving. However, being the stubborn person I am, my personal repertoire has barely changed since I first began playing tournament chess. Never the type to want to learn and understand extensive theory, I relied upon relatively rare lines to throw my opponents off. For example, I have always played 6. h3 against the Najdorf Sicilian, and while this opening worked beautifully in the beginning of my chess career, its efficiency has decreased as the line itself became more well-known and as I reached a higher level of play. In looking through correspondence games myself, I found a recurring variation in the Najdorf that seems to be gaining popularity; the 8…h5 variation in the Be3 Najdorf. The variation itself is very suitable for correspondence chess as it entails a lot of positional maneuvering and long-term planning. While I am not the most positional player, I still find the variation appealing due to its constricting nature, as white essentially aims to eliminate black’s counter-play. 1. e4 c5 2. Nf3 d6 3. d4 cxd4 4. Nxd4 Nf6 5. Nc3 a6 6. Be3 e5 One of the mainlines — the others being …e6 and …Ng4 7. Nb3 Be6 8. f3 h5 A trending line nowadays. The obvious goal is to stop white’s king-side expansion; one of the central ideas in the mainline with opposite-side castling. The old mainline is 8…Be7 9. Qd2 O-O 10. O-O-O with white aiming for a king-side attack and black aiming for a queen-side attack (See Anand – Topalov, Stavanger 2013). 9. Qd2 Nbd7 10. Nd5 Bxd5 The more common variation – here white pursues similar goals to the variation with the knight taking instead: 10… Nxd5 11. exd5 Bf5 12. Na5. Now, let’s return to what happens if the bishop takes back: 11. exd5 g6. Here, 11…Qc7 is also possible, to be followed by 12. c4. Should black play 12…g6, white should try to relocate his knight to its ideal square on c6 via c2 and b4. Another possible continuation is 12…a5 13. a4 b6 14. Bd3 g6 15. O-O Bg7. Here, white’s plan deviates as it becomes difficult to pursue queen-side play as black has locked down the b4 and c5 squares. White’s attention thus shifts to the center and king-side: 16. Rae1 O-O 17. Nc1 Nc5 18. Bc2 Na6 19. b3 Nb4 20. Bb1 Na6 21. Ne2 Nd7 22. Bh6 Qd8 23. Nc3 f5 24. Nb5 Nac5 25. Bc2 Qe7 26. Be3 h4 27. g4 (1-0 Jensen,E (2495)-Krivic,D (2528) ICCF 2014). 12. Be2 Bg7 13. O-O b6 14. Rac1 O-O 15. h3 Re8. 16.c4 f5 17. Bd3 Bf6 18. f4 exf4 19. Bxf4 Be5 20. Bxe5 Nxe5 21. Nd4 Qf6 22. Bb1 Rae8 23. Rc3 += White’s knight has two potential squares on c6 and e6 and the queen-side majority yields an advantage. Should black play 15…Qc7, white should focus more on the center and king-side (A worthy game to look into is Jónsson,D (2538)-Magalhães,L (2540) ICCF 2014). (23… Rab8 24. Ba4 Red8 25. Rb1 f5 26. Bc6 Qc7 27. Qe2 a5 28. Rec1 += White has a tiny advantage here with better placed pieces, the bishop pair, and a queen-side majority) 24. c4 Qb4 25. Qxb4 cxb4 26. Ba4 Rad8 27. Re2 += In this endgame, white has a small edge and should be trying to play g3, move the king towards the center, place the light-squared bishop on c6 and play for a c5 break. Should …Nc5 happen, which should capture with the dark-squared bishop and then double rooks on the d-file and push through using the d-pawn. Overall, the …h5 variation poses an interesting problem to white, as he or she must switch strategies from the traditional king-side attack to a more positional game in the center and on the queen-side. In the Nxd5 variation, the knight maneuver Na5 to c4 in conjunction with a4 and queen-side play is essential to white’s strategy. White should also aim to contain black’s central counter-play with a timely f4. In the Bxd5 variation, white’s plans are more long-term and often the queen-side pursuit will not work out, in which case, one must focus one’s attention on the center and king-side. In many variations, white does not necessarily have an advantage, but the bishop pair and extra space provide for easier play and a potential advantage in the transition to the endgame. The variation on the whole contains fascinating positional planning, and has become a line I can’t wait to try in tournament play.